Marin Mommies presents a sponsored article from MV Code Club. Grade school is an excellent time to start introducing coding to your child because they can focus, read, and have fine motor skills. Programming teaches students how to think structurally and provides a methodology for breaking problems into understandable steps. Coding is also a way to interact with and visualize concepts. Start with a programming environment that emphasizes fun and creativity. Coding sessions should last between 30 to 90 minutes, with ample break time. Encourage your child to learn with friends. If you do not know how to code, consider a project-based environment with a dedicated teacher. Learn about computational thinking - breaking a problem into its constituent parts. Learn the importance of Math, Reading, Logic, and following directions. Learn that coding can be fun and something that they are good at. Introducing coding to your grade schooler is a good way to create a sense of achievement and confidence in learning. MVCode teaches kids to code throughout the Bay Area. 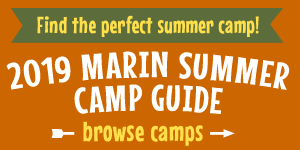 We offer classes and camps at our Bay Area locations as well as an online program for at home. Visit www.mvcode.com for more information. You can also register for a free trial class at one of our Bay Area locations at www.mvcode.com. We have clubs in Mill Valley, Kentfield (right off Sir Francis Drake), San Francisco, San Mateo, Redwood City, and a pop-up club in Albany.